On Saturday June 6th, House of Cigar in Powell Ohio, hosted "The Conspiracy Tour" from Room 101 Cigars. 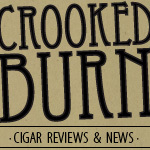 I was only there for 15 minutes, but I did get to talk to Matt Booth (creator of Room 101 Cigars) ask him about his new blend, and when we would see it on shelves. He told me to look for it after this Falls IPCPR show and that they were working on the blend as we spoke.Thanks to House of Cigar for putting on this event, and thanks to Matt for spending some time talking to me.